Bethany Kirby has composed a fun round based on the refrain of Michael Rosen's Coldham's Common poem In the first version, this is set out in the sound file and score to be sung by unision voices. Please also find below the lyrics, instructions for how to sing as a round in unison. Below there is also the more complex version with the same words and rhythm, but the round in two part harmony - have fun! Based on a poem by Michael Rosen, composed and scored by Bethany Kirby, produced by Helen Weinstein, Commission by Historyworks. 1. Please use the lyrics & practice in unison - before breaking into 3 groups for the round! 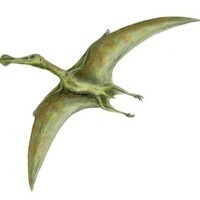 Dinosaurs and Pterosaurs once lived on Coldham's Common. Thousands found it. Didn’t know what to do! Made of stone. Too hard to chew. Near to where, the cows go moo. Now it’s ancient. Once it was new. Thousands came. Did they queue? In a poem by you know who! with pigs and cows, their hens and ewes. thousands came and dug right here. what many years later, others would find.